Congratulations! You’re a newlywed! Now that you’re back from the honeymoon and you’ve opened all your gifts the next big thing to do is start writing those wedding thank-you cards. 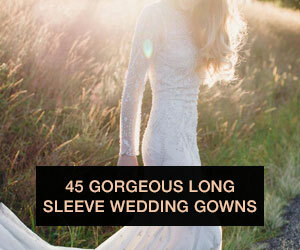 Technically you have 2 weeks post-shower and 3 months post-wedding date to get these out, but there is nothing worse than knowing you have a long list of thank you’s hanging over your head. 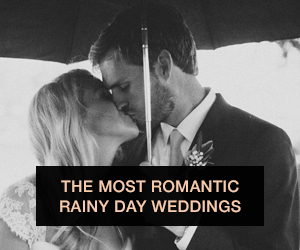 As a newlywed myself, I’m here to help with tips for how to make this tedious little task a little less painful, plus some really great cards that will set the tone for your note. To help lessen the burden when you return from your honeymoon, write any notes for gifts you receive before the wedding as you receive these. 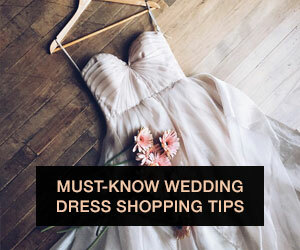 If you know the guest will be attending the wedding, make sure to include a note that you look forward to seeing them on the big day. Split the task up! You fiancé/husband may try and claim his handwriting isn’t the greatest (mine did), but it’s not fair to you to have to write all the notes. Especially when the gifts where meant for both of you. Divide the list evenly or by family/friend sets. Regardless how you do it, make sure you both sign each card. For the design of your thank you there are so many options! You can match the design of your invitation suite, opt for a simple card with “thank you” or “thanks” on the front or personalize it with a photo from your wedding. 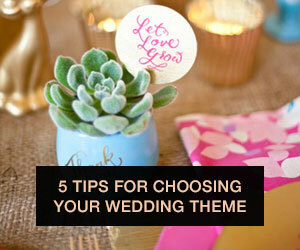 This is a very popular right now and the ideas are endless (see below for a few of my favorites!). If you go this option though, keep in mind how long it will take to get your photos back from your photographer and how long it will take to receive your order and then write those thank you’s. 5. Thank your vendors, too! In addition to thanking your guests and anyone who sent you a gift, don’t forget to thank your vendors. If they went above and beyond to make your day perfect, a handwritten note goes a long way. I also sent a quick text to all my guests and bridal party the day after our wedding thanking them for coming and letting them know how much it meant to my husband and I to have them there. I of course followed up with a handwritten note, but I was filled with so much gratitude for the people in our lives who made the trip to be at our wedding, I wanted to let them know right away how much it meant to us to have them there. Include a picture of you and the guest(s) from the wedding day. They may not have taken photos themselves and now they’ll have a special memory of the day to hold on to. 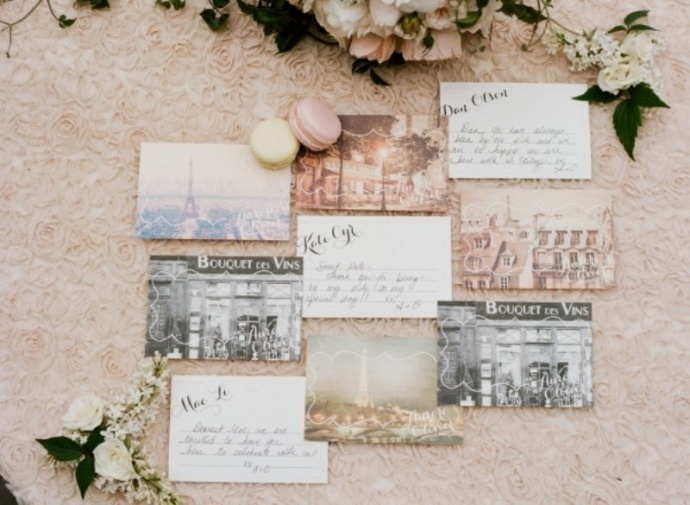 Pick up postcards from your honeymoon and use these as your thank you’s. You can even get a head start on your notes and start writing these as you wait in the airport to head home! 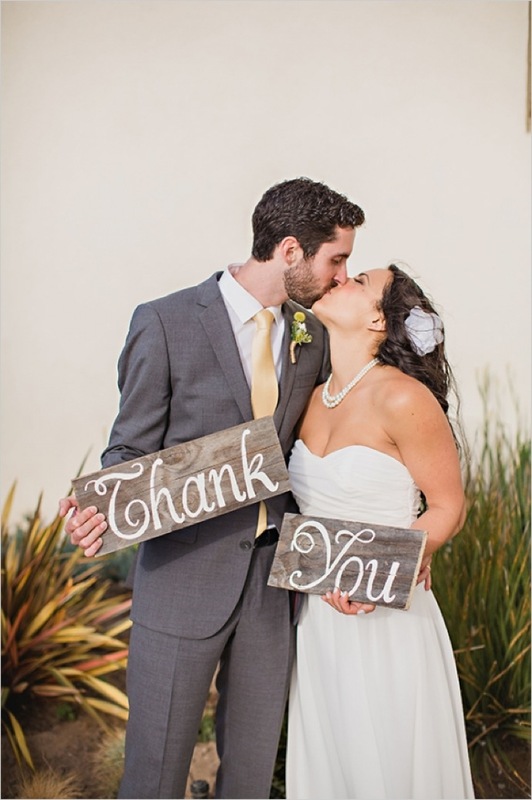 As I mentioned above, saying “thank you” with a handmade sign on your wedding day is uber trendy right now. The ideas are endless so I’ve picked out a few of my favorites. Did you take a group shot of all your guests at your wedding? We did and it’s one of my favorite pictures! Had I seen this DIY tutorial previously, I would have loved to use this photo as a liner for our thank you notes. 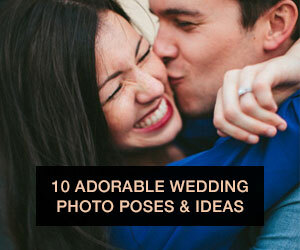 If you aren’t DIY’d out by the end of your wedding, take your favorite photos from the day and compile them into a newspaper-esque article to send with your thank you. 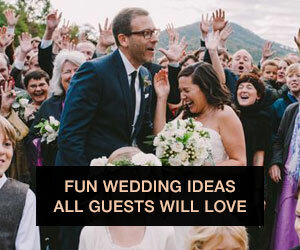 If your guests had as much fun as you did, they’ll love reliving the day. 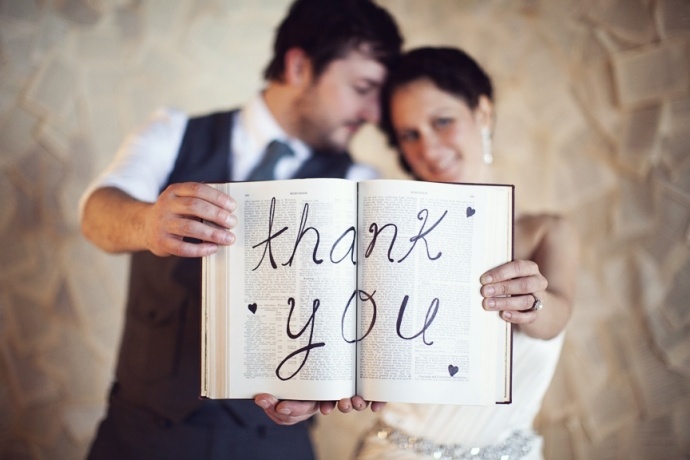 Which of these amazing wedding thank-you card ideas will you use for the big day? Let us know! Rachel Geeser is a Chicago newlywed who can't remember a time when she didn't love weddings. As editor of An Eventful Life she writes about fashion, food, entertaining & DIY projects. You can find her on Twitter, Facebook, Instagram and Pinterest.